Golfers can have a wonderful time in Pakistan. Pakistan offers some spectacular Golf courses throughout the country. Pakistan offers some spectacular golf courses throughout the country, new courses are being developed and golf membership is on the increase. We have compiled a list of golf vacations in Pakistan. If you are interested in any of these golf vacations, please contact the operator directly with any questions for ordering free brochures or booking. The list is updated frequently so visit often. In Pakistan golfers can play throughout the year especially during the winter time when there is no golf season in Europe and Japan due to snow fall. Rawalpindi Golf Course: It is an Eighteen (18) hole, challenging course. Major tournaments of the country are organized by the Rawalpindi Golf Club, located near Ayub National Park on G.T. Road, Rawalpindi. It has one of the most beautiful surroundings. Rawalpindi Golf Course was completed in 1926 by Rawalpindi Golf Club, one of the oldest golf clubs of Pakistan, founded on 2nd November 1885. The Islamabad Golf Course: Is another 18 hole course with a picturesque background, having grass and water channels around the fair-ways as well as around the greens, and the golfer has really got to be careful in playing his shots. Abbottabad: A popular summer resort in the midst of spacious valleys, is surrounded by green hills and located at a distance of 116 km from Rawalpindi and 217 km from Peshawar. From a tourist point of view abbottabad is noted for its verdant parks, gardens, golf course and pine covered hills. The Kabal (Swat) Golf Course: Has a picturesque background. It is an old golf course, constructed by the Wali of Swat for recreation during holidays in the valley. The Bhurban Golf Course: Is located at a distance of about 15 Km from Murree Hills. It is a 9 hole course at a height of 6000 ft. above sea level. With a picturesque background. It is one of the most challenging courses with small hills erected around. Major tournaments of the country are held here. The Lahore Golf Course: Is an 18 hole very well maintained course. Most of the major tournaments of the country are held here. Leading professional golfers belong to this Golf Club. Golfers Karachi: Is a game being taken up enthusiastically in Karachi. The fact that so many excellent golf courses have been built in different parts of the city demonstrates the popularity the game enjoys. 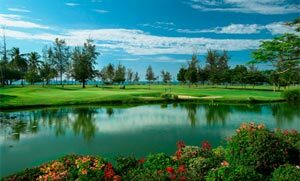 The Arabian Sea Country club has a golf course which is set amidst scenic and picturesque surroundings. It's specially designed 18-hole gold course is rated among the best golf courses available in the country. The Karachi Golf Club is the oldest golf club of Karachi and has played a pivotal role in popularizing the game of golf. Arabian Sea Country Club: This club consisting of Golf and Swimming Pool Complex is set amidst scenic and picturesque surroundings. 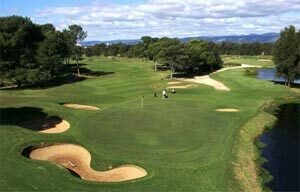 It's specially designed 18-hole golf course is rated among the best golf courses available in the country. 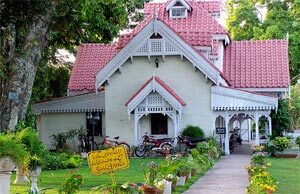 Karachi Golf Club: Karachi Golf Club is the oldest golf club of Karachi and has played a pivotal role in popularizing the game of golf. The original Golf Club started as a subsidiary of Sindh Club in 1888 and within three years had become an independent entity. Through a concerted effort the entire course was turfed, landscaped and planted with trees, providing the largest green area in greenery-starved city of Karachi. Presently, the 27-hole golf course is spread over 250 acres of land and is the only one of its kind in Pakistan. The Peshawar Golf Course: Is an 18 hole course with a picturesque background having grass and water channels around the fair-ways as well as around the greens, and the Golfer has really got to be careful in planning his shots. The Shandur Golf Course: Is the highest golf ground in the world and is located at 13000 ft. This course is infrequently used and is maintained by the Chitral Scouts.